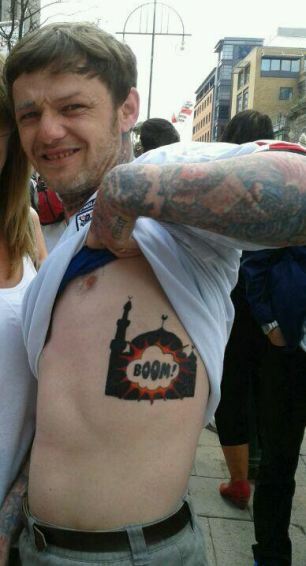 A man who allegedly revealed his tattoo of a mosque being blown up at an English Defence League rally in Birmingham has been arrested. 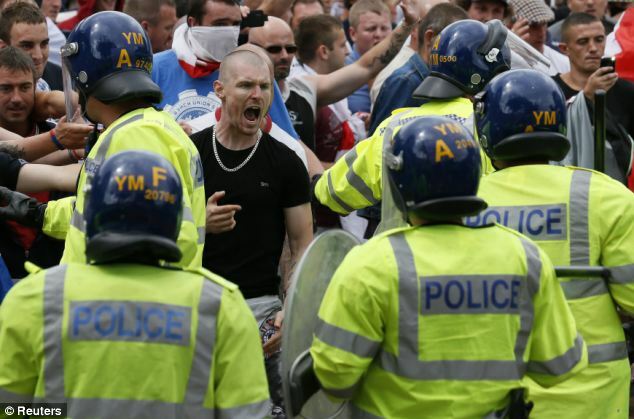 Sean Reah, of South Shields, South Tyneside, has been arrested on suspicion of inciting racial hatred. The 39-year-old was reportedly recently pictured lifting up his T-shirt to reveal an image of a Muslim place of worship with 'BOOM!' displayed across it. The picture was taken during a demonstration organised by the English Defense League in Birmingham city centre on Saturday, July 20. The image sparked outrage after it was posted online. It was taken at a demonstration in Birmingham, according to The Sun, where police made 20 arrests after officers came under attack on Saturday. A 20-year-old woman has been charged with violent disorder and was due to appear in court earlier this week. 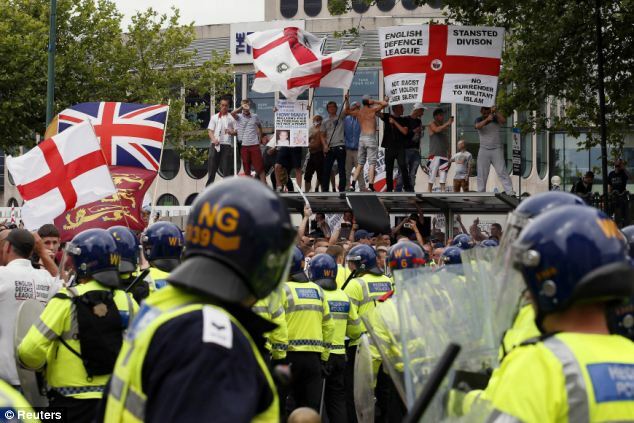 Two men were also charged with offences connected to the EDL rally and a counter-protest in Birmingham city centre. Officers made a total of 20 arrests, mainly for public order breaches, after being pelted with cans, bottles, stones and other missiles during sporadic disorder. Two men aged 26 and 22 have been bailed to appear before Walsall Magistrates' Court on August 9 charged with possessing offensive weapons. A police spokesman said: 'Police enquiries are ongoing to see whether any other offences were committed during the demonstrations. 'The wealth of exceptional quality CCTV within the area is likely to provide significant investigative opportunities to bring a large number of offenders to justice for what, at times, appeared to be serious offences. 'There were a total of three hospital admissions for minor injuries, one of which was a police officer who received head injuries after being hit by bricks.